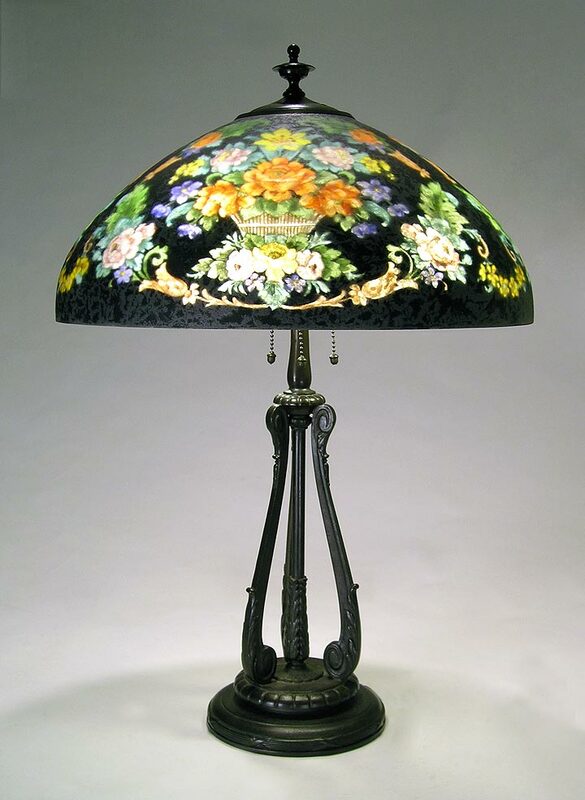 Handel is most famous for reverse-painted lamps, but they also made a limited number of leaded lamps. What's interesting is the number of fake Handel lamps. 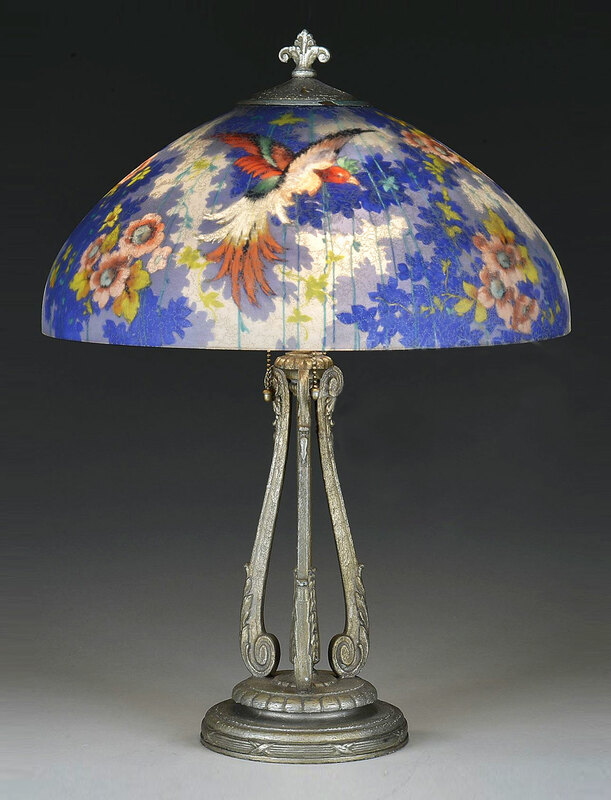 In my opinion there are many more fake Handel leaded lamps than authentic ones. So it's very nice to be able to offer not only an authentic example, but a rare and beautiful one. Here are some interesting facts about this example. 1. The shade is square, with rounded corners. That makes it very rare and desirable. 2. It's beautiful, with striking red flowers on a green background. 3. The heat cap is square, something I've never seen before. 4. The base has four original sockets, with acorn pulls, for good illumination. 5. The base and shade are properly signed. 6. It's large, with a 20" square shade. 7. There are a number of cracked tiles (as evidenced in the photos). 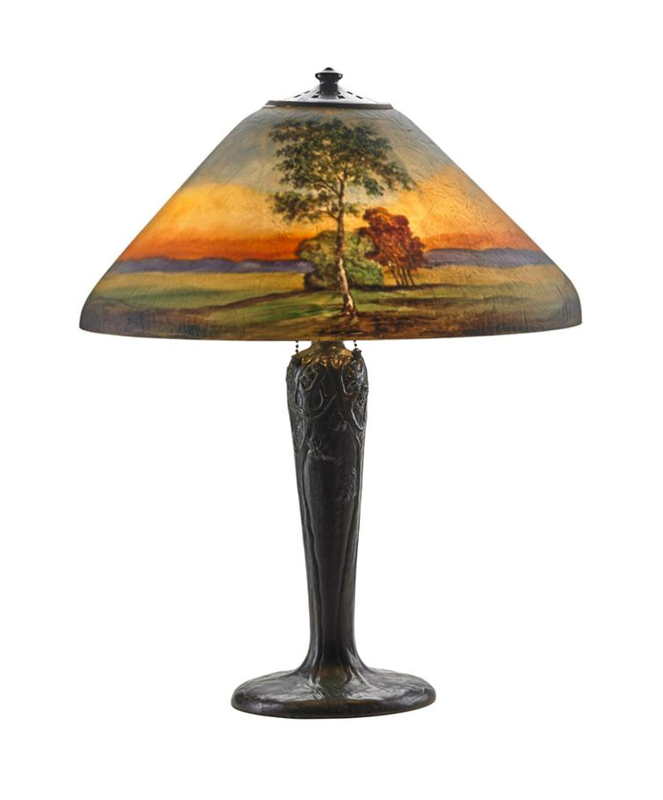 It's a wonderful lamp for the right buyer. Please let me know. 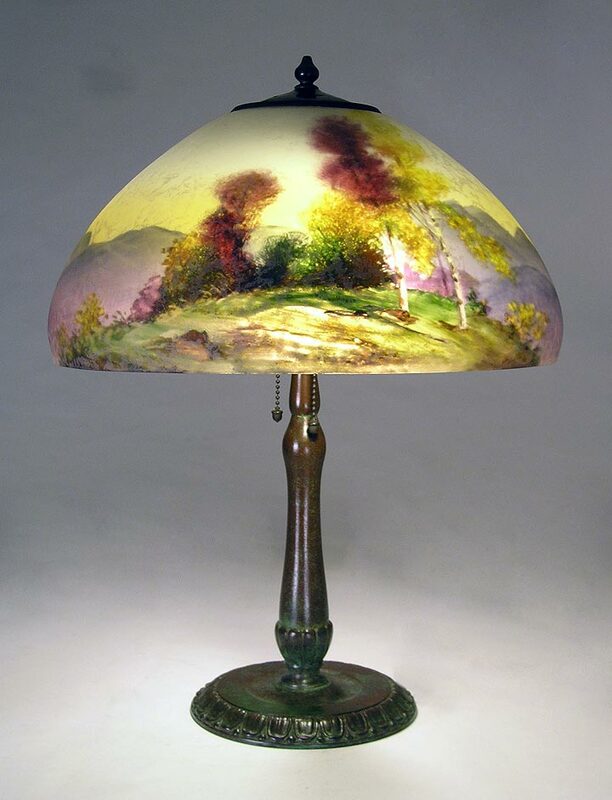 This Handel lamp is really a beauty. 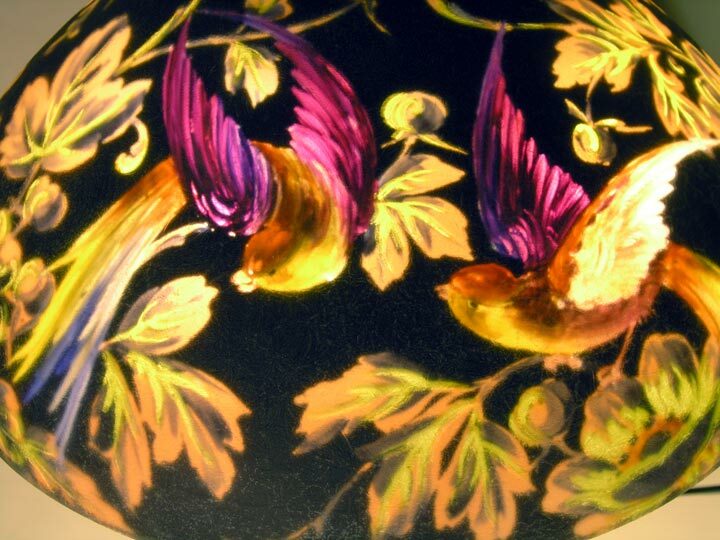 The colorful birds are painted on a jet black background, so they really pop. Numbered #7026 and artist signed "Broggi". 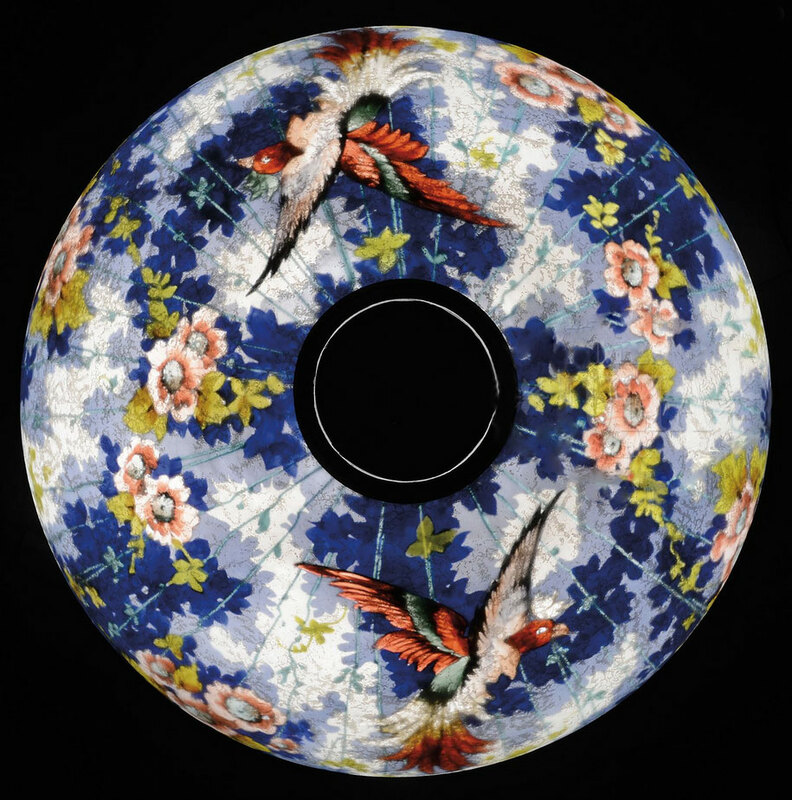 Comes with the correct base, but not the original one, as the ring on the shade is gold polychrome and the base is patina. Fully signed. Mint condition. 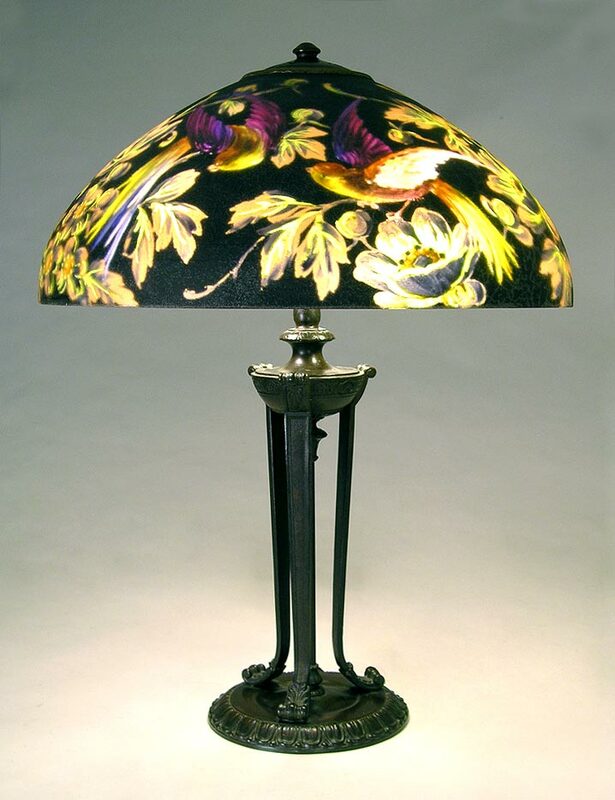 I don't get many Handel lamps nowadays, but when I do, they're great! 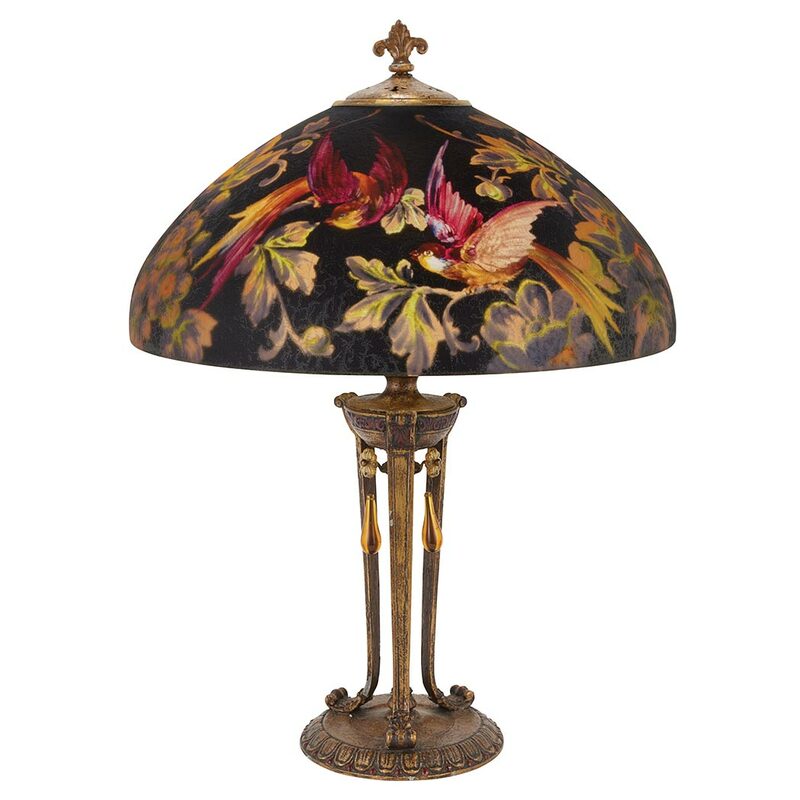 This is a fabulous Black Bird lamp, #7026, artist signed by Broggi, with gorgeous artwork by one of Handel's best artists. 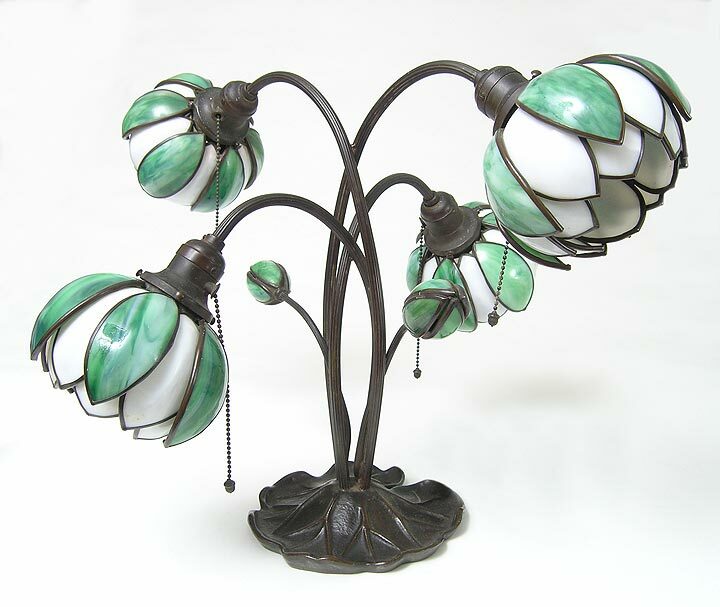 Mint shade and all original base with some chipping (to be expected) to the original polychrome finish. 18" diameter x 24¾" tall. 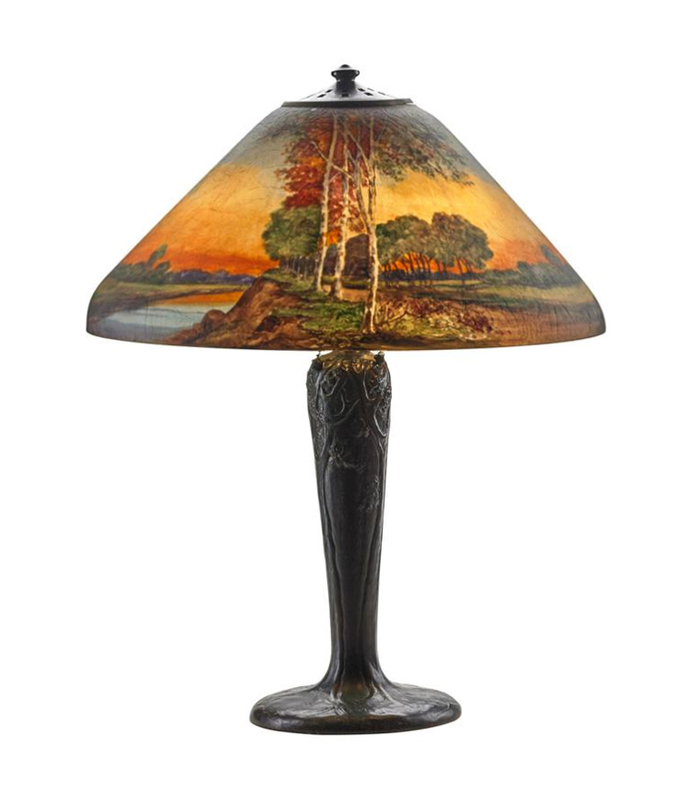 It's a killer lamp at a great price! 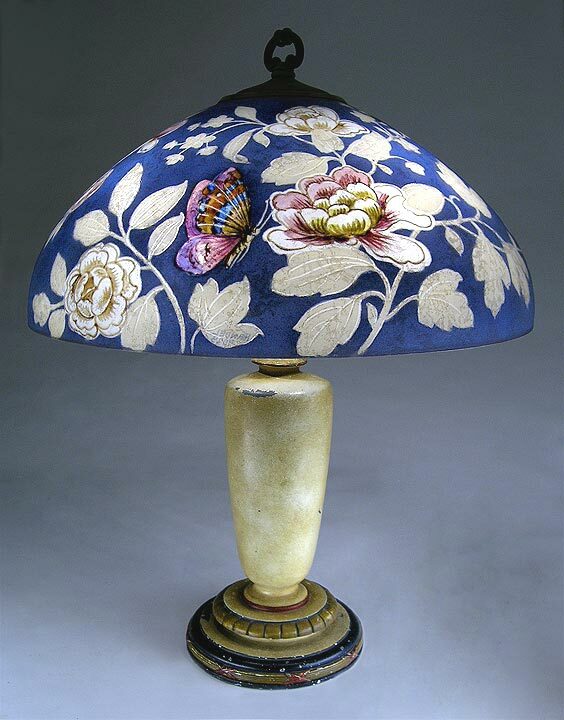 Exquisite Handel lamp, covered with beautiful dogwood flowers and butterflies. The lamp is not clear or white in the background. It was just difficult to photograph. The true color is pastel yellow. Signed on the ring and the base. Mint condition with a beautiful patina on the base. 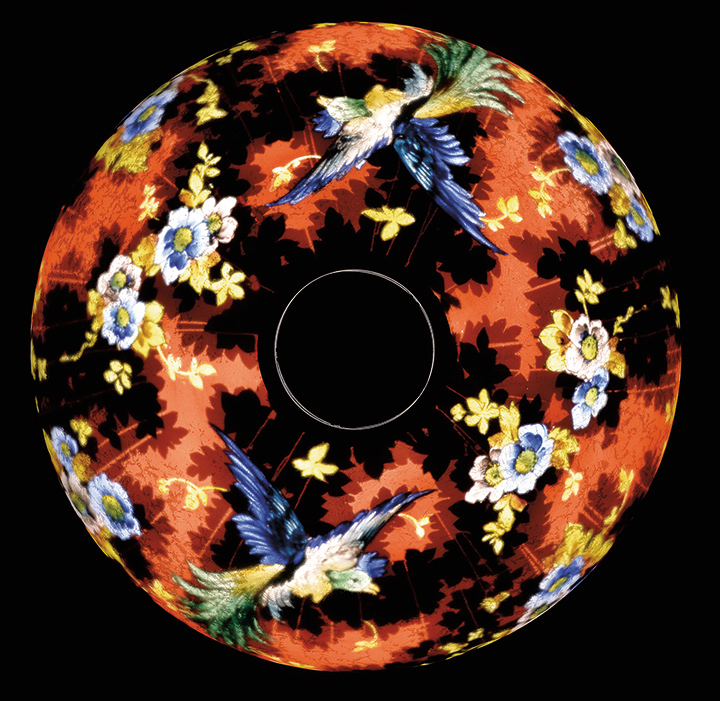 Jet black backgrounds on Handel lamps are rare, but coincidentally I happen to have two at the same time -- this one and a #7026 bird lamp. This one is very colorful and special. Comes on the original and very desirable tripod base. Fully signed #7460 and artist initialed. Mint condition. 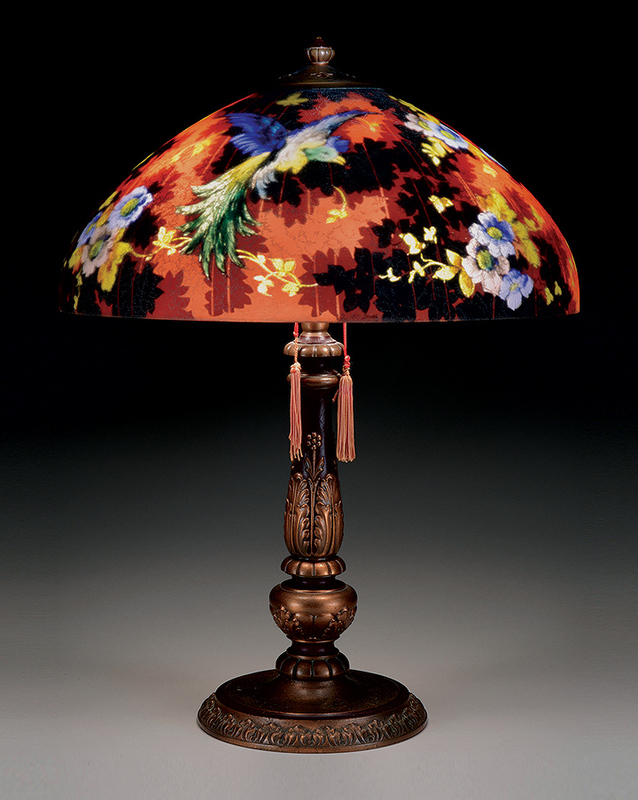 This is such a stunning lamp. Handel made it in a red and a blue version. I can't decide which one I like better. 18" diameter. Signed both shade and base. Mint condition shade. Base with slight wear to the original finish, but well within the normal bounds of a lamp that's 100 years old. 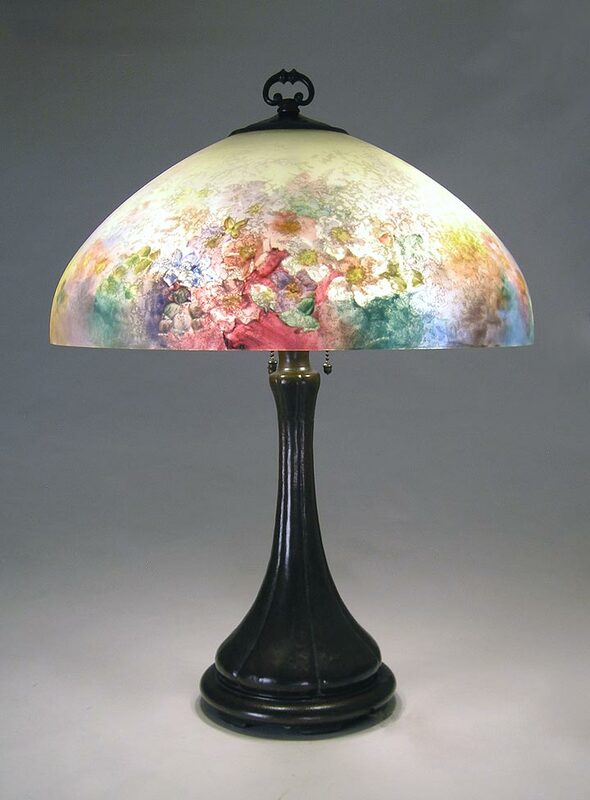 This Handel 15" diameter lamp was painted by one of Handel's better artists. It's exceptionally pretty. Fully signed and numbered #7139. Excellent condition except for one very small retouched chip on the shade interior. Excellent patina. 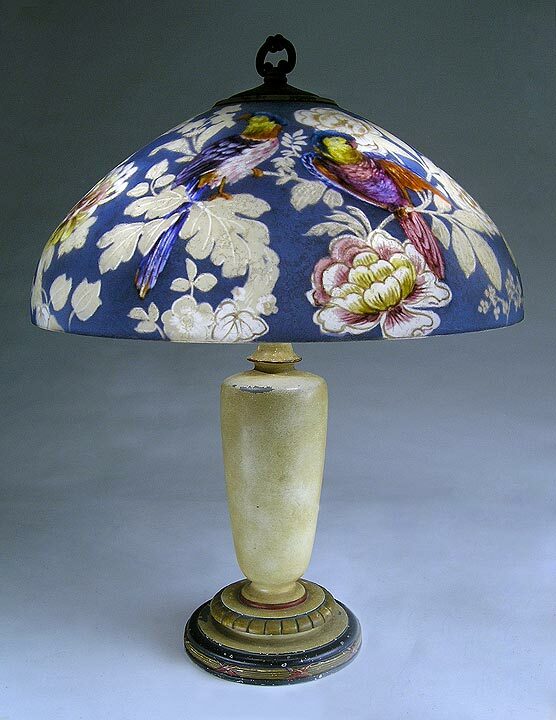 I don't get many Handel lamps nowadays, but when I do, they're great! 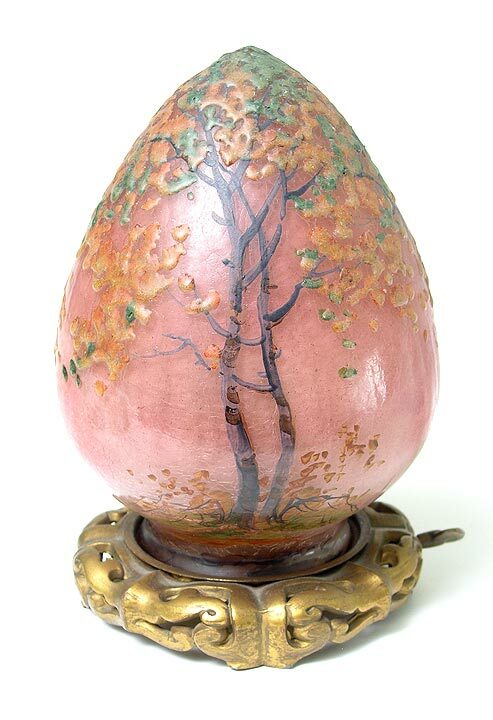 This is a fabulous, colorful, conical scenic lamp, with a very desirable tree trunk base. Mint shade and original base. 18" diameter x 23½" tall. 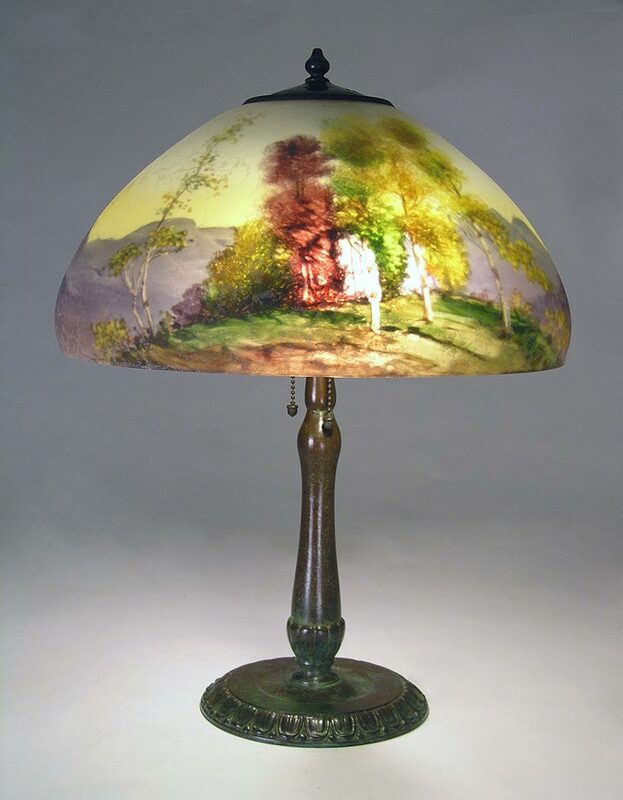 It's one of the prettiest scenic Handel lamps I've had in years. Signed and numbered shade, #6939, and signed base. It will not last long!